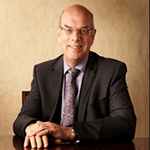 Professor Sir David Eastwood became Vice-Chancellor of the University of Birmingham in April 2009. Former posts include Chief Executive at the Higher Education Funding Council for England, Vice-Chancellor at the University of East Anglia, and Chief Executive of the Arts and Humanities Research Board. His early career was spent at the University of Oxford, where he was Fellow and Senior Tutor of Pembroke College. He later held a Chair in Modern History and was Pro-Vice-Chancellor of Swansea University. He is currently Chair of Universitas 21 and Chair of Universities Superannuation Scheme (USS). He is also a Board Member of Universities UK (UUK), a Board Member and Non-Executive Director of INTO University Partnerships, and a member of the Arts and Humanities Research Council (AHRC). He is also a Board Member of the Greater Birmingham and Solihull Local Enterprise Partnership, and serves as an International Member of the Hong Kong University Grants Committee. In 2014 he was awarded a Knighthood in 2014 for services to education.